In a previous article, I wrote about how loyalty, courtesy, and professionalism could make or break your business. I promised to write on each of these martial arts character values in turn, dealing with loyalty in the first installment. Today, I am going to discuss professionalism because I have observed it to be an increasingly undervalued practice in the service industry at large, including the martial arts industry. Let me start by saying that I consider professionalism to be of the utmost importance to anyone in business. And if you think about it, you have probably determined the entirety of your business relationships with any given number of businesses based solely on the professionalism of their representatives. Have you ever gotten poor service at a restaurant and left vowing never to return there again? Have you ever received rude or indifferent treatment from a salesperson and left the premises without buying a thing, even though they had what you were looking for, and at a price you’d gladly pay elsewhere? Have you ever felt cheated or taken advantage of by a mechanic, plumber, appliance repairman, or any other service provider… simply because they knew you needed that repair today? Have you been back to or called on any of those businesses since? That’s why I say that professionalism is of the utmost importance to any business’ success, regardless of size or industry. So why should the business of teaching martial arts be any different? In fact, I believe it’s even more important in our business, which I will explain shortly. But first, let’s discuss what professionalism is and then we can talk more about why it’s so crucial and how we can display it. But Just What Is Professionalism? the conduct, aims, or qualities that characterize or mark a profession or a professional person. Let’s examine each of these attributes and determine how they might be defined in our industry. What sort of conduct do you feel is becoming of a martial arts instructor? Would it include any of the following? I could continue ad infinitum, but I think you get the point. And, I think we could all agree that those attributes I’ve described are not the sort of behavior you would want to see in your own instructors. 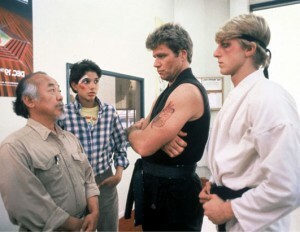 Now ask yourself; how many times have you known martial arts instructors to display those very same attributes? What are the aims and goals of a martial arts instructor supposed to be? To turn out the toughest students around? To create champions in competition? To weed out the weak, so only the strong survive? So, what does any of the above have to do with making the instructor look good? Not a thing! If anything, the instructor must be willing to look “bad” in order to help students fulfill the above goals. And why do I say that? Because he or she must be willing to take on students who are weak. That’s not to say that anyone who wants to achieve the above goals is weak; what I mean is that people who profess the goals above are probably not interested in becoming martial arts champions or going through the grinder so they can get the toughest S.O.B. award at the local MMA throwdown. Yet, the best martial arts instructors – those who most exhibit the qualities of professionalism in our industry – are those who sacrifice their own goals for the sake of helping their students realize their own. In my mind, that’s the sort of stuff a great martial arts instructor is made of; I’ll take that over a tough guy instructor any day. And I’d hazard a guess to say that most potential students would say the same. Certainly, a professional martial arts instructor should display certain external qualities; skill and knowledge in technique, physical fitness, and an ability to convey that knowledge to others. But, I think that it’s the internal qualities that separate the wheat from the chaff when it comes to being a professional in this industry. So what sort of internal qualities do you think define the consummate professional martial artist? Tough, stern, and unfeeling? Or, caring, empathetic, and kind? Somewhere in between? Truthfully, I think martial arts instructors need to be a combination of strength and compassion. Strength is necessary because they need to be respected and seen as authority figures; on the other hand, I believe instructors need compassion because of the issues I’ve discussed at length above. 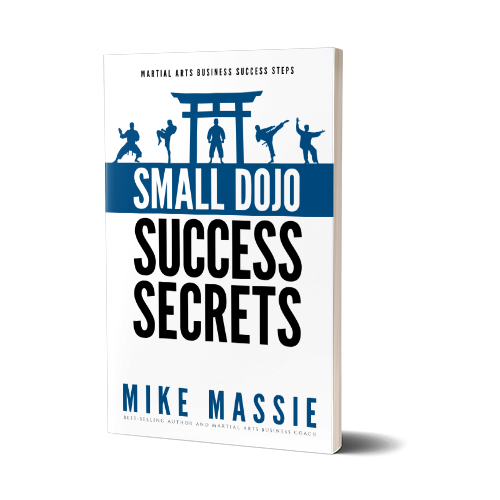 In addition, I believe that martial arts instructors need to practice what they preach, an issue I have previously tackled here and here. By doing so, an instructor will also evince that most important of qualities, integrity. And, I believe that’s really at the heart of professionalism, as well as the one value that potential students most want to see in their future instructor. There’s a unique opportunity that exists in our industry these days for instructors who are willing to do the work on themselves that it takes to become the consummate martial arts professional. And, notice I mention that it takes work to be a true professional, because not one of us are perfect, and we all have failed in at least one of the areas I’ve mentioned above. However, if we as instructors are willing to practice what we preach and work on our own personal development, this creates a unique opportunity for differentiation in our industry. This opportunity I speak of exists because of the nature of our industry and the people we are most likely to serve. That’s right, I’m referring to the family and children’s market. That’s really where the long-term stable income is in this industry. Despite the recent proliferation of MMA gyms and gladiator schools, the fact remains that families are where it’s at for most martial arts schools. And if you’re a traditional martial arts school, you simply can’t compete against the flavor of the month where the cool factor is concerned, so I suggest you don’t even try to get the trendy crowd in your school. On the contrary, I strongly encourage you to proudly show your colors by differentiating yourself from the crowd. Instead of trying to be everything to everyone, why not market yourself as the family-friendly, character-values-driven martial arts school in your town? Think about it; families are looking for schools that teach family values. Be the school that offers what they are looking for by being the most professional instructor you can be. Let the tattooed juicehead factories turn out the next local MMA champ; no mom wants to enroll her kid in a studio where the heroes come from counter-culture anyway. Whether you teach mixed or traditional martial arts, I challenge you to differentiate yourself from your competition by presenting a clean-cut, professional image to the public. I assure you that by being the thing that families are looking for in a martial arts school, you will improve your school from a financial perspective as well. As instructors or coaches, we expect our students to learn many principles and standards that cross over in many aspects of their lives and yet we tend to fall short of the same things. We must contiuously evaluate ourselves to live by those standards or pinciples to enhance those traits or values in order to set the example to our students as well as to those who we influence. If not, we become false teachers/mentors.